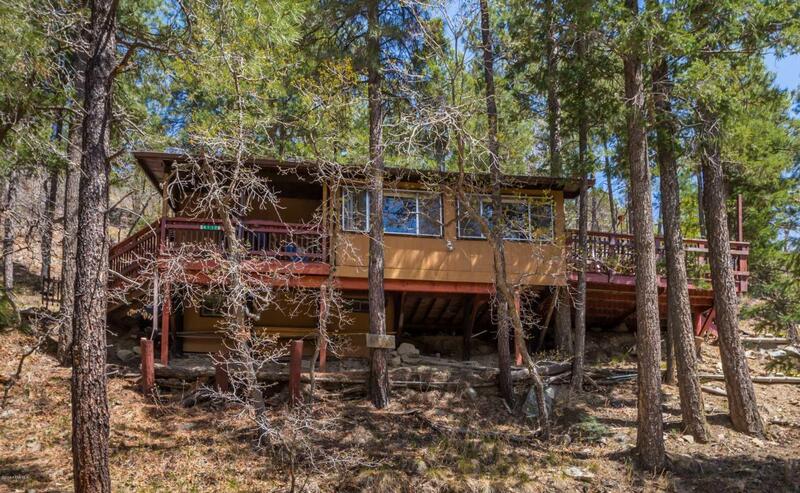 This charming cabin sits on just over 1 acre in the pines with beautiful long range views. There is a covered deck at the entrance and a large open deck to enjoy the fauna, flora and mountains. You are about 15 minutes from recreation at gorgeous Lynx Lake.If you are searching for a budget friendly, summer getaway, hurry, this could be the one!